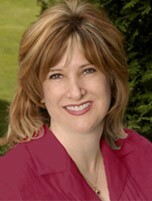 Dr. Diane Arel, a dentist with a focus on cosmetic dentistry, has been providing quality dental care since 1988. She received her Doctor of Dental Surgery degree from the Indiana University School of Dentistry and completed her general practice residency at Miami Valley Hospital in Dayton, Ohio. Dr. Arel is a Master in the Academy of General Dentistry, and Past President of the Ohio Chapter of the AGD. Dr. Arel is also a member of the Academy of Cosmetic Dentistry, the Ohio Dental Association, the Cincinnati Dental Association and the Pankey Institute.